The Giant demo crew is coming back to Midland. 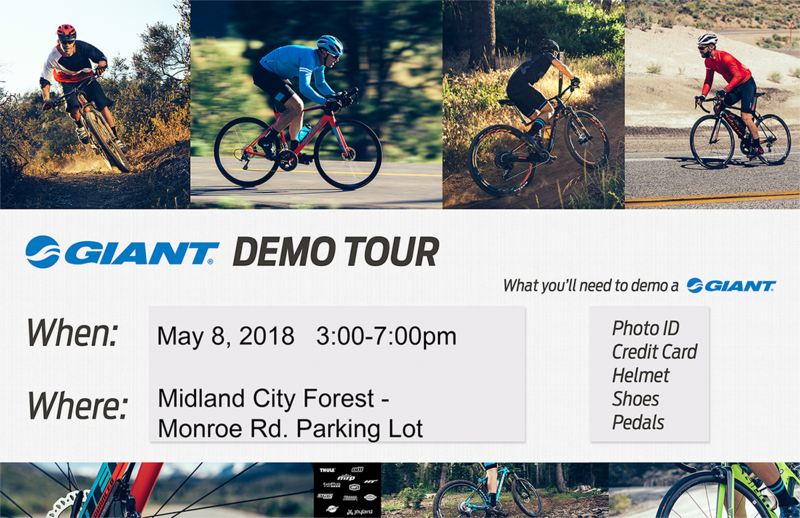 Join us at City Forest for your chance to try out Giant's 2018 models. For more info please click on the image above or call us at 989.496.2810. 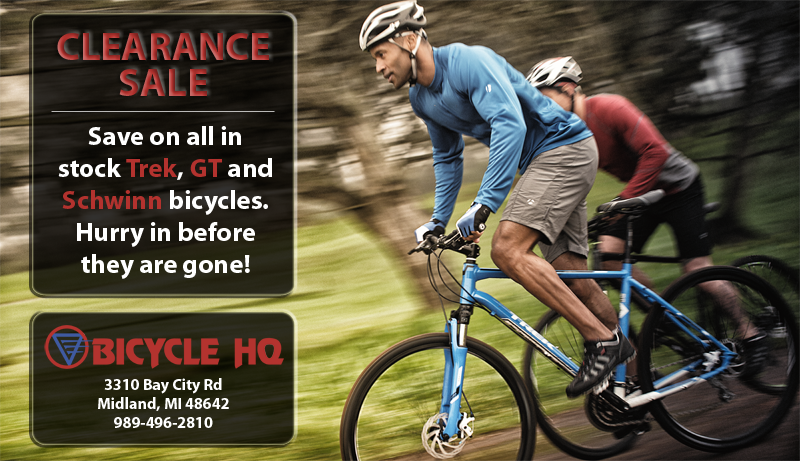 If you have been thinking about getting a new bike, now is a great time to pick one up! 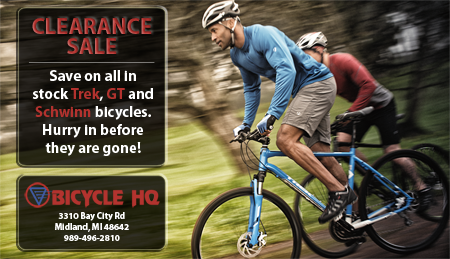 All in-stock Trek, GT and Schwinn bicycles have been marked down and are waiting for their chance to make your next ride even more enjoyable. Like us on Facebook and keep up with the latest shop news and exclusive fan deals. Stop in and check out what's new or take advantage of the great deals on 2017 and older models. Would you like to receive info about upcoming sales and special promotions? Copyright (c) 2017 Bicycle Headquarters, Inc. All rights reserved.